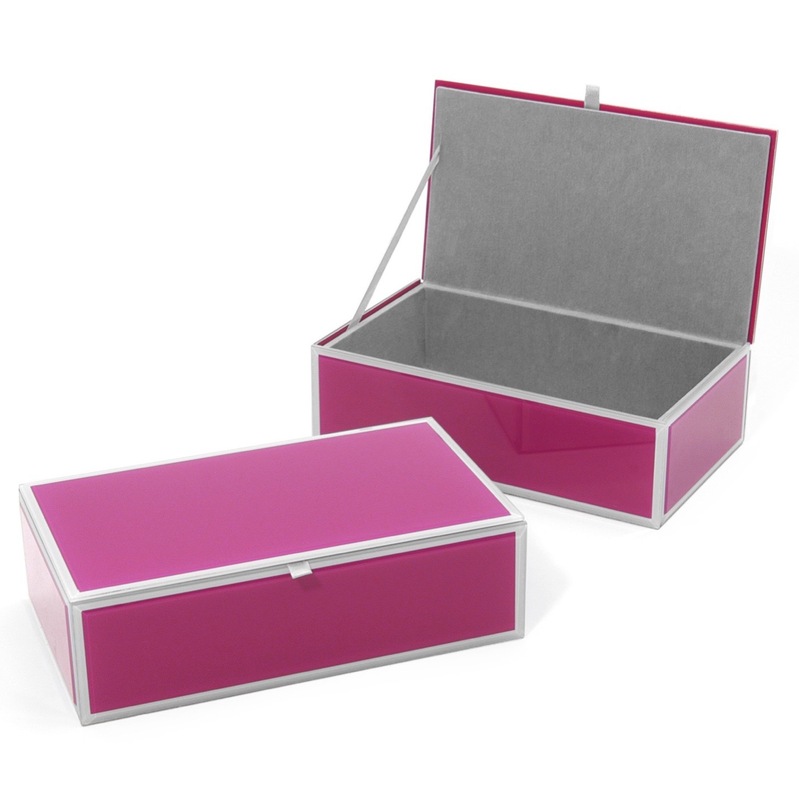 These glass rectangle-shaped storage boxes are beautifully appointed with two-tone detailing and beveled edges. 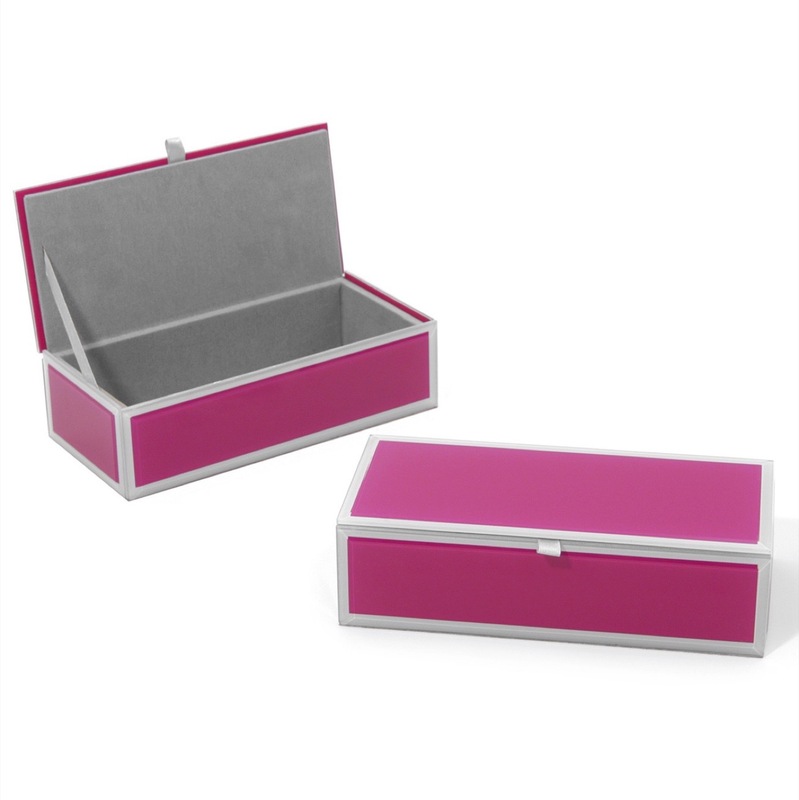 Each features a soft interior and is completely open to store all of your valuables. Choose from two sizes: small and large (dimensions given).